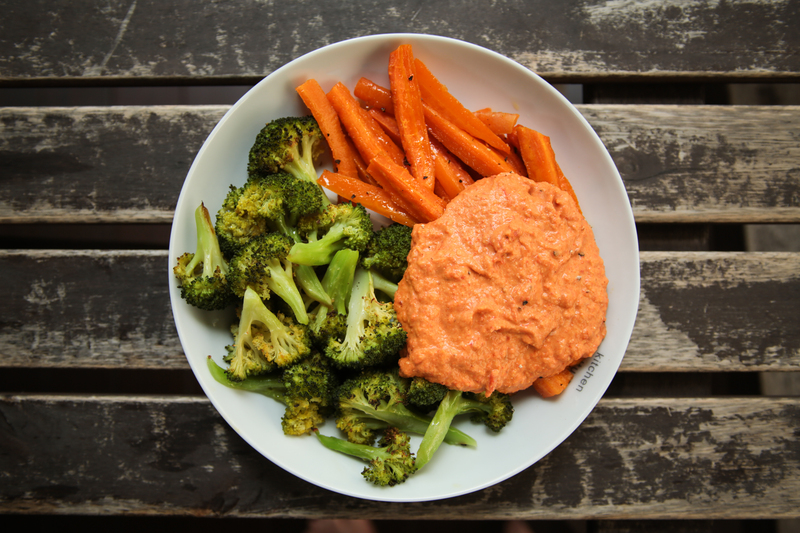 If you’ve been observing well, I love making dips. 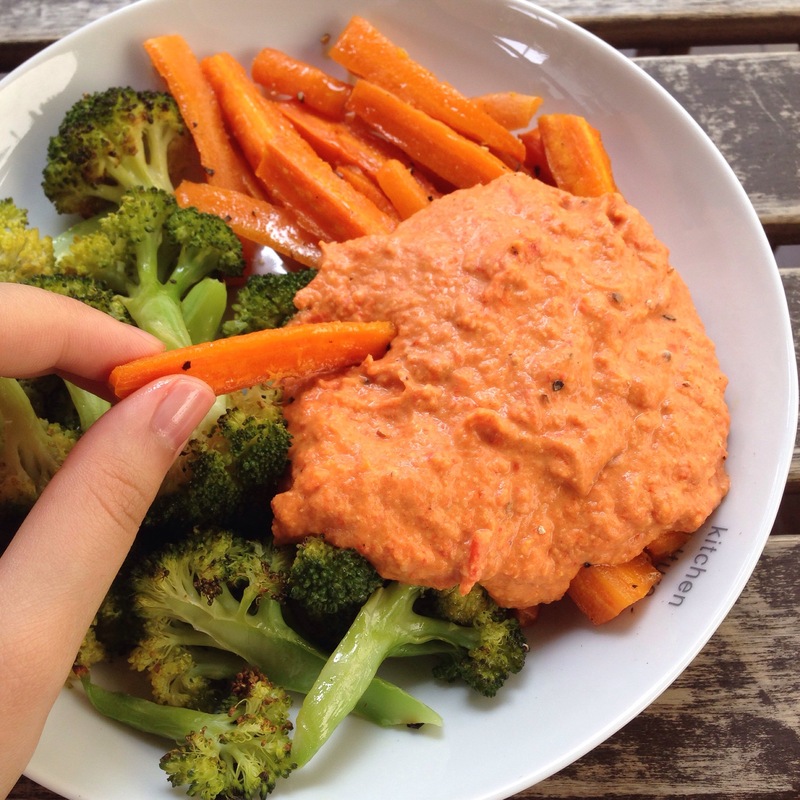 All kinds of dips to go with my vegetables. I think my veggie eating habits are contributing to the problem of deforestation. I kid you not. Anyway, I discovered this amazing twist on the regular hummus. 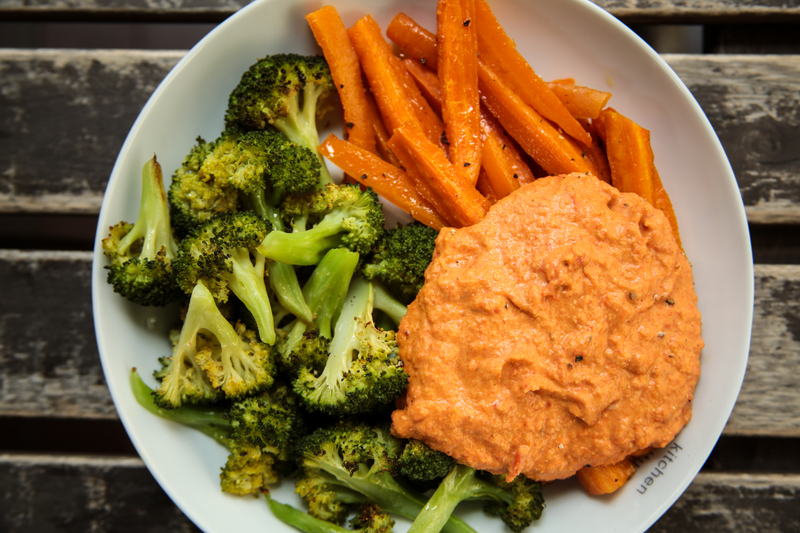 Adding roasted red pepper brightens up the entire dish and also adds an extra flavour to the plain old hummus (not saying that classic isn’t good but sometimes we need a little spice in life). However, the only good feedback I’ve received for this dish happens to be only from my family and one friend who seldom eats healthy food even though I think this recipe is such a keeper. “It looks like your carrots took a dump.” maybe it did. “Yuck, who’s baby vomit is that?” yours? “This tastes too healthy.” and healthy is bad? “Nah, it tastes like normal hummus.” taste buds obviously not working!!! “It actually tastes good!” Yes it does, now make this. HAHAHAHAHAHAHA. I may appear angsty about all my negative comments but don’t worry, I’m not. I still love my friends even though they think I’m a rabbit. Perhaps I’m a bit too healthy for people my age but there’s nothing wrong with being healthy! I blame my mother for brainwashing me since young though. Apparently she fed me with broccoli as a snack the moment I could start chewing. Such effective brainwashing. 1. Roast the red peppers and garlic at 200 degrees Celsius until the skins of the red peppers are slightly charred. 2. Puree all the ingredients together. 3. Add water until desired consistency. 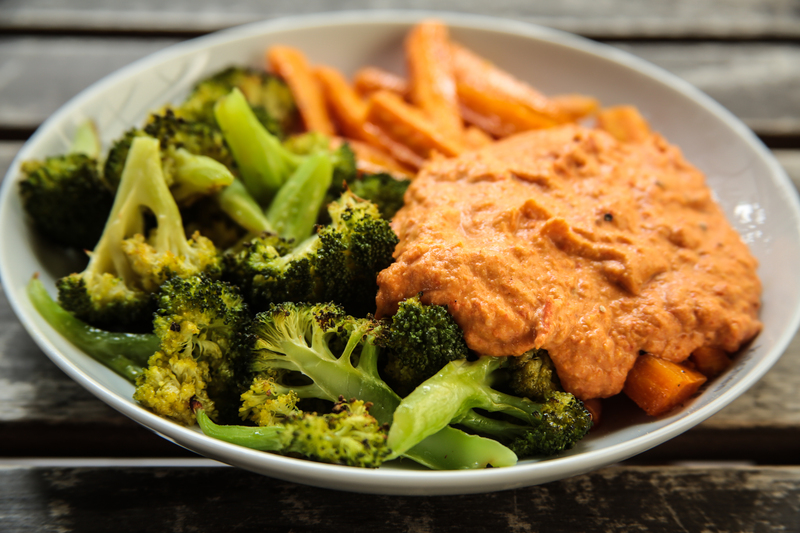 *You could roast vegetables to go with this dip or just eat it with raw vegetables.